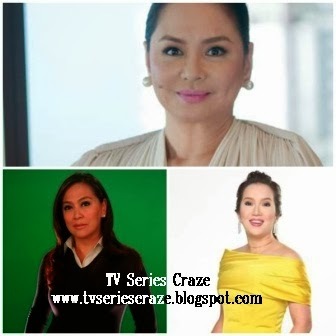 Charo Santos, Karen Davilla, and Kris Aquino Win at The Rotary Golden Wheel Awards! ABS-CBN president and CEO Charo Santos-Concio, Queen of All Media Kris Aquino and broadcast journalist Karen Davila were among the recipients of this year’s Rotary Golden Wheel Awards given by the Quezon City government and Rotary International District 3780. As the president of the largest media conglomerate in the country, Charo was recognized and praised by the award-giving body for her outstanding expertise in corporate media management, which contributed to the company’s growth by achieving profit margins, record-high advertising revenues and leadership in nationwide TV ratings. Multi-awarded actress, iconic TV host and box office queen Kris, meanwhile, was cited for her excellence in entertainment media. Aside from hosting top-rating game and talk shows, Kris also starred on several blockbuster movies. Last year, she was also named the Most Influential Endorser of the Year by the Educators and Critics Circle Award for Media Communication, Best Lifestyle Program Host by the Golden Screen TV Awards and Best Female Celebrity Talk Show by the PMPC Star Awards for TV. Karen, on the other hand, was acknowledged for her contributions in broadcast journalism. In her more than 15 years in the industry, she already received numerous local and international citations from prestigious award-giving bodies including New York Festival. She was also named one of the Ten Outstanding Young Men Awards for Broadcast Journalism in 2008.